Behold the intrepid. 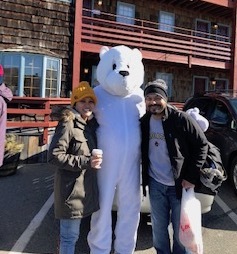 The not so few, the proud, the fearless who challenged Neptune’s frigid realm raised $80,000 for the fight against polio, last Saturday at Cape Ann, Gloucester. After the Bill and Melinda Gates Foundation matches this amount 2-to-1, the tally will be a very respectable $240,000. 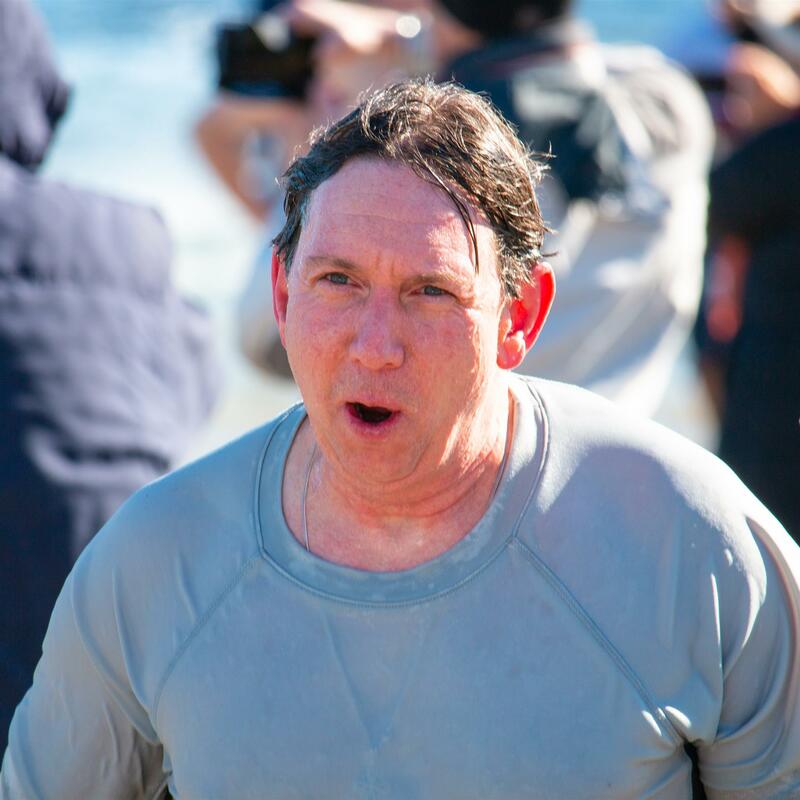 Our own Past President Rob Deiana, went in head first on a day when the Real Feel was in the single digits and the water temperature a cozy 38F. Rob’s wife Dawna, Kelly McAdams, Club President Michael Cognata and his friend Larry Sands, Margaret Greene and her husband George, and Luis Ribas came out to offer support. Seyla Nehan came with her friend Kam Ksy, who also jumped in. She says “he would love to plunge with us every year. He is a very good sport and also donated to our cause on the mobile website for friends and families of Rotary. He also did a Facebook live video giving a shoutout about the event/Polio and he currently has 499 views. He is hlping to create more awareness on the cause. He is a very good person, very much like all of our Rotarians”. A hearty thank you to Rob, Kam, and all who help fight polio. More photos on the RCOMH Facebook page. We’re not done raising funds for polio eradication. The Big Toe Plunge is only six weeks away. It will be a joint activity with InterAct... except… well… they’ll do the full body plunge. However, intrepid RCOMH membrrrrrs will show’em a toe or two when we dip our big one at Devereux Beach. Let’s think about creative ways and outfits to “plunge” our big toe in the water and help eradicate polio. This year’s Massachusetts Association of Orthodontics Frederick Moynihan Award was bestowed upon our Club President Dr. Michael Cognata. 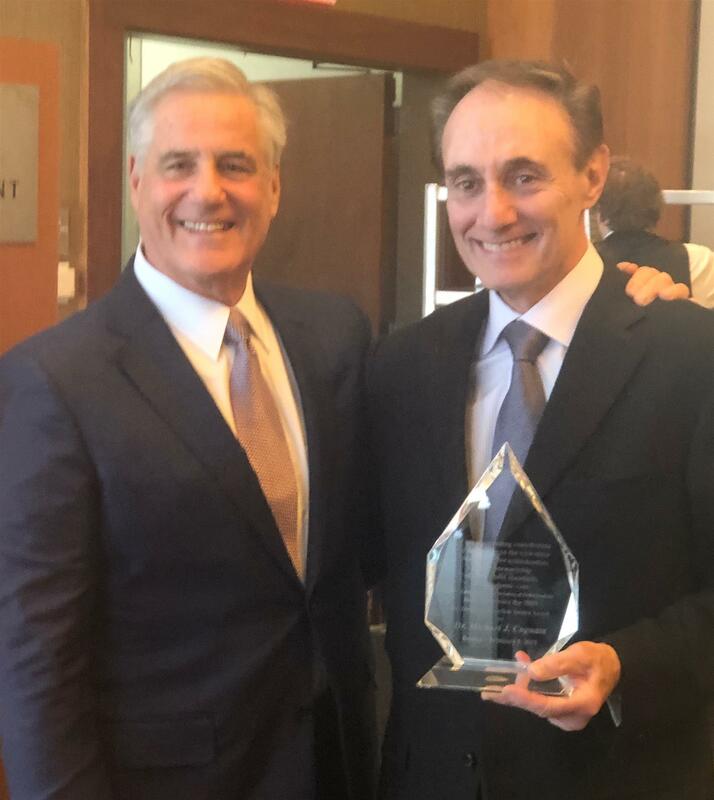 The citation, which we had to get from his wife’s office without Mike’s knowledge, rewards “his outstanding contribution and dedication to the education of Massachusetts orthodontists and his stewardship of the highest standards of orthodontic care." Fellow orthodontist Dr. Donald Nelson presented the award at a recent luncheon in Boston. Congratulations Mike! 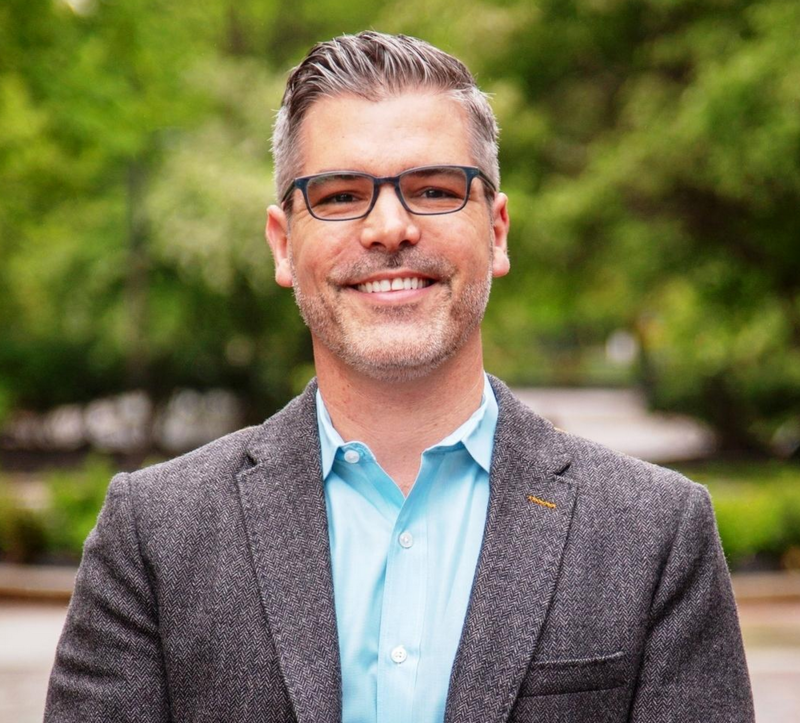 This week’s speaker is Root’s Executive Director, M. Scott Knox. 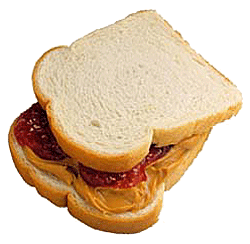 We will tell us about his organization’s workforce training program that uses food preparation and service to teach career and life skills to young men and women. WILL YOU HELP PROMOTE THE CLUB? How often are you surprised with how little the community knows about what we do? 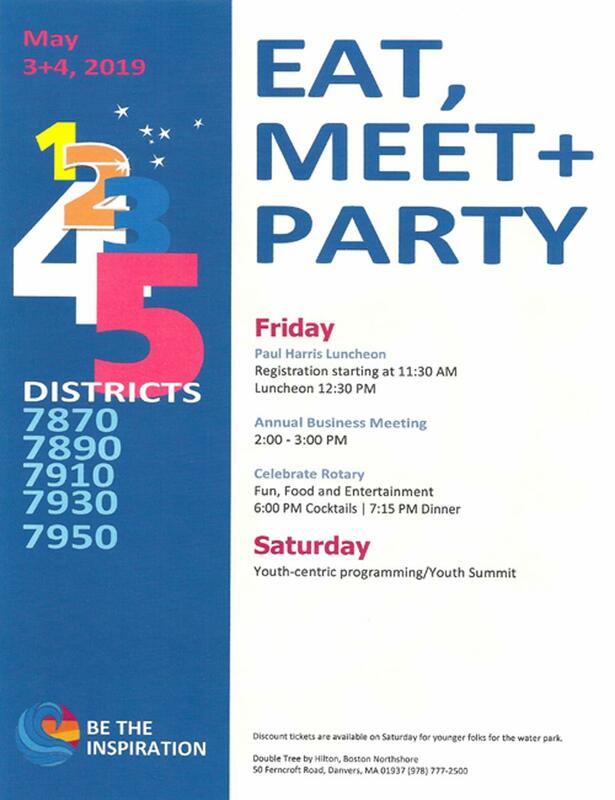 We want to increase community awareness of Rotary and the good service projects our club develops. One of the tools will be different and more frequent posts on social media. But we need your help in letting us tag our contents to your Facebook feed. So, please go ahead and “like” our Facebook page if you have not done so already. More details soon. This month’s club social is next Tuesday, February 19th at 6:00pm. 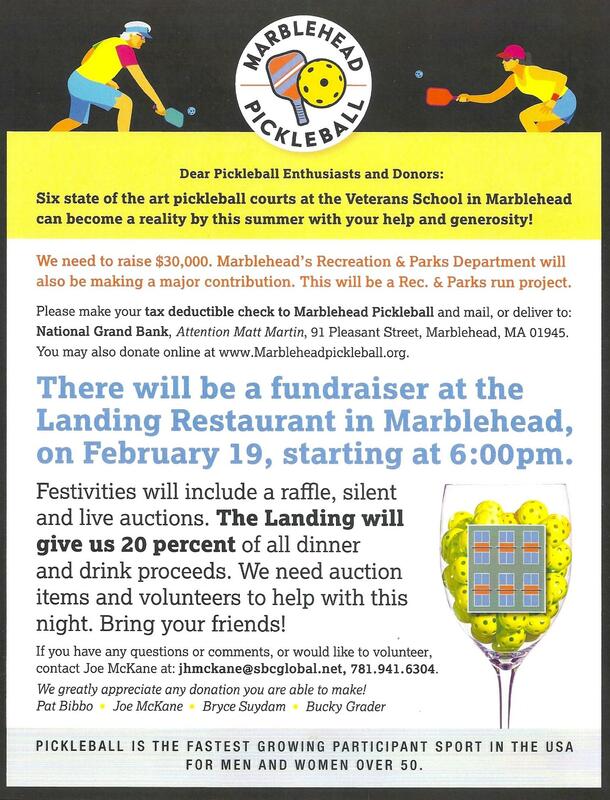 We will join the fundraiser for the “Marblehead Pickleball Courts” at The Landing, on Front St. See poster or e-mail John McKane. 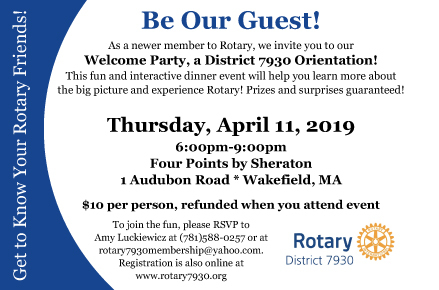 DO YOU KNOW WHAT ROTARY IS? Thank you Diane Barbour, Margaret Greene, Seyla Nehan, Michael Cognata and John Williams for contributing to this edition of Scuttlebutt.